There has probably never been a horse before or since who has dominated racing for such a long period as Kelso. He raced for 8 years during which he was …. 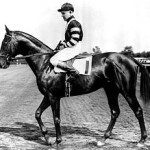 War Admiral was a smaller copy of his famous father Man O’ War. 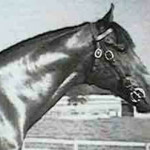 He was considered Man O’ War’s best offspring. 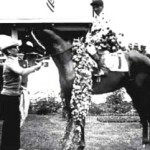 War Admiral reached his peak as a three-year old. …. 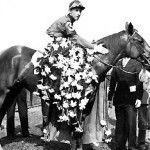 Whirlaway was considered a mentally impaired horse that could be a danger to himself and those around him. He was prone to adventurous trips around the track. Ben Jones’s patience …. 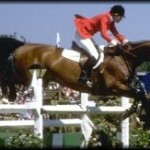 When a ligament injury forced him into retirement in February 1996, Honor the Hero had already proven he was an exceptional equine athlete. 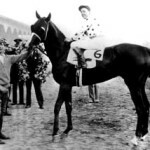 The then-eight-year-old gelding had 13 wins, eight …. A colt by Rough’n Tumble out of Aspidistra, Dr. Fager wasn’t very impressive as a foal. He had two club feet and was rather clumsy, and his proportions were a …. Gallant Fox represented a shifting in the standards of American breeding. Gallant Fox was one of the first horses to show what direction American racing was headed for. He was …. Omaha’s career wasn’t as distinguished as that of his father Gallant Fox. His two-year old career was nothing to talk about and his three-year old season lacked consistency or brilliance. …. Frankel covers bases By STEVE ANDERSEN INGLEWOOD, Calif. – Rain or shine, trainer Bobby Frankel has a trio of older horses ready for Saturday’s crowded $250,000 Cup at Hollywood Park. ….